Jade Bryan, a 12th grade student attending the Good Hope Country Day School, won the Congressional Art Competition, a nationwide annual art competition initiated by members of the U.S. House of Representatives in 1982, that allows high school students from all 50 states, the District of Columbia, and U.S. territories to showcase their artistic ability. The winning piece of art from each Congressional district is displayed in an eleven-month exhibit in the Cannon tunnel that leads into the U.S. Capitol. 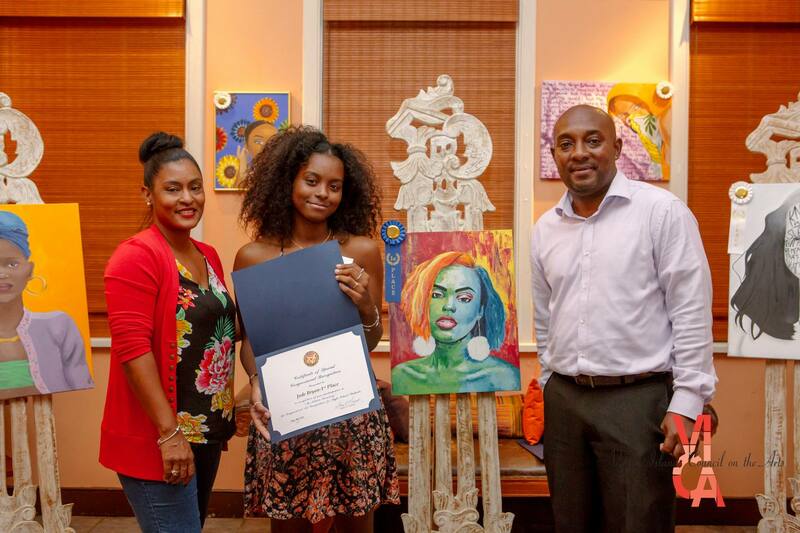 The VI Council on the Arts provides funding for cash prizes and a trip to Washington, D.C. for the winner and one guardian. Virgin Islands artists are always in demand. Join our artist registry to be a part of upcoming exhibits and other opportunities.